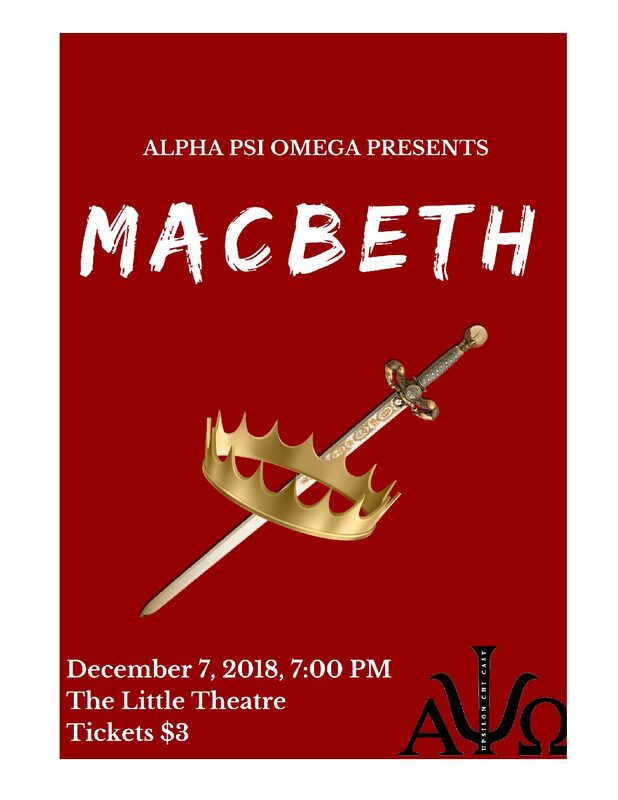 Alpha Psi Omega, the theater honor society on campus, presents Macbeth at the Little Theater on December 7th, 2018 at 7pm. This could be a useful educational experience for members of the English Department as well as a great Friday night event! More details can be found on the flyer above.